The United Arab Emirates said on Monday the Arab states could continue to isolate Qatar 'for years' if it did not alter its foreign policy. 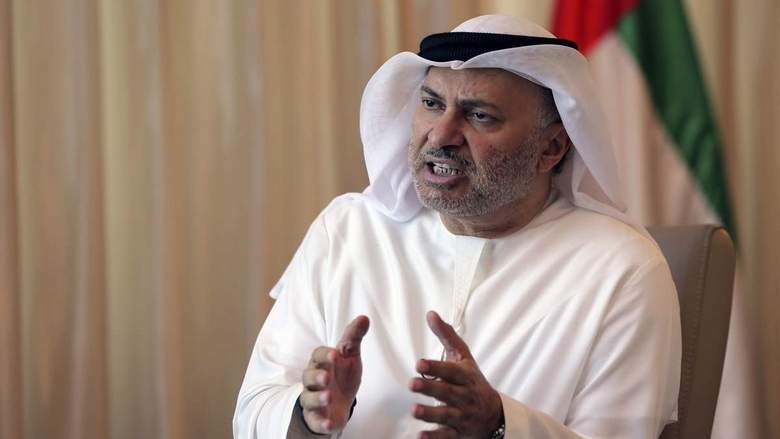 "We do not want to escalate, we want to isolate," UAE Minister of State for Foreign Affairs, Dr. Anwar Gargash told journalists during a visit to Paris. Saudi Arabia, the United Arab Emirates, Bahrain and Egypt cut diplomatic ties and transport links with Qatar on June 5 over Doha's role in fomenting instability in the Middle East, funding terrorism and cosying up to Iran, accusations that Qatar denies. "Qatar will realise that this is a new state of affairs and isolation can last years. If they want to be isolated because of their perverted view of what their political role is, then let them be isolated. They are still in a phase of denial and anger," Dr. Anwar Gargash said. Gargash said the priority concern was in dealing with Doha's links to Al Qaeda and other extremist groups across the region as well as its ties to the Muslim Brotherhood and the Hamas group. "They have built a sophisticated podium for jihadism and extremism," he said. "They support groups linked to Al Qaeda in Syria, Libya... and in Yemen. "This state is weaponising jihadists and extremists, it is using this as a weapon of influence," he added. In the next few days, Saudi Arabia, the UAE, Bahrain and Egypt will submit a list of demands to Qatar, which is likely to include the expulsion of radical individuals. "There must be some people who are wise in Qatar and who will prevail, hopefully within the ruling family," Gargash said. "This is not about regime change, it is about behaviour change," he added. Gargash said there was a risk Iran and Turkey would try to fill the vacuum caused by the rift, but urged Ankara, which has supported Doha, to be neutral. "It's early days. Turkey is trying to balance between its ideological zeal and its national interests. We are still in the phase and let's hope they are wise and understand that it's in its best interest...what we are doing," he said. Gargash, who was in Paris as part of efforts to lobby European allies to put pressure on Doha, said he believed that when Qatar did back down, there would be a need to monitor its activities in the region, something Western powers could undertake. "There is no trust. So far it's an idea to create a monitoring system. France, Britain, US or Germany could monitor because they have the diplomatic clout and technical know-how," Gargash said.